Above the treeline during the summer can be as cool as a misty autumn evening down at sea level. But with the Mens 365 Millenium Jacket you've got all the protection you need. 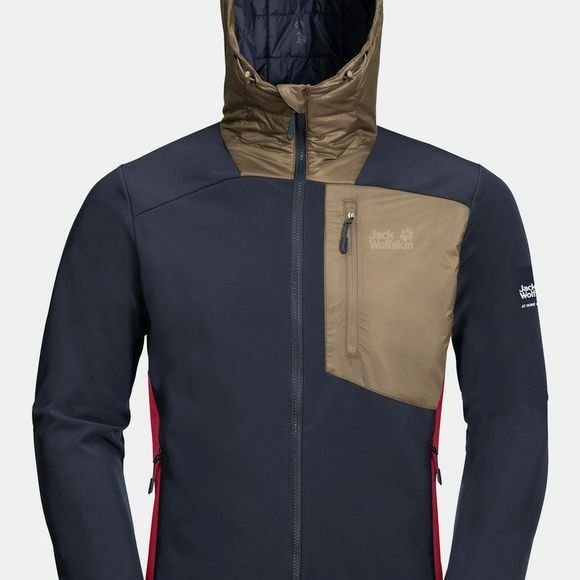 This softshell jacket is windproof and has a soft fleece lining for insulation. When getting to the summit means an alpine start and a long, hard day the Mens 365 Millenium Jacket helps you maintain your physical performance. The Stormlock fabric stretches as you move and is robust enough to withstand tough days on the trail and contact with rough rock, and it protects you from the biting wind when you reach the summit. The hood is also windproof and insulated for added warmth. It can easily be adjusted to suit the situation. The Mens 365 Millenium Jacket is part of our JW365 Collection, a signature range of products created for an active lifestyle between the office and the outdoors. If you're looking for a youthful, confident style, a stand-out design, full-spec Jack Wolfskin technology and a combination of outdoor functionality and everyday suitability, these products were made for you.